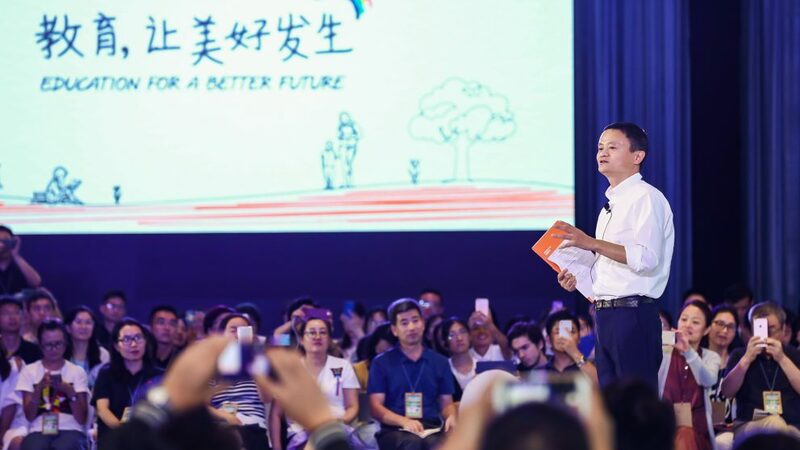 The true essence of education is to recognize and foster the different talents and interests of each child, said Alibaba Group Executive Chairman Jack Ma, stressing the importance of instilling a love for learning in children early on. “Some children are very good at academics, but some are good in sports and singing, so let them be,” Ma said.” Cultivate their natural talent and let them be the best them.” While the ability to work as a team is invaluable, individuality must also be respected, he added. As a former teacher, Ma has maintained a strong passion for education. Many of the initiatives of the Jack Ma Foundation are related to education, such as training programs for rural teachers and headmasters. One of his goals, he said, is to return to teaching and devote his energy to improving China’s education system, especially outside of cities. After seeing dozens of schools in China’s poorest areas, Ma said he realized that sparsely attended schools should be combined to pool resources and deliver a better learning experience for students, as well as attract more young innovative teachers to work there. Driving home the message, Ma said the measure of a country should not be solely based on the performance its elites, but on the collective effort by the private sector and government to lift people out poverty by empowering them with marketable skills. Spencer Lin, the co-founder of Planet Save, spoke about the shared responsibility of protecting the Earth by adopting a more eco-friendly lifestyle. Contributions from young people could be a critical element in the global effort to eradicate hunger and malnutrition, said Stanlake Samkange, the director of the United Nation’s World Food Programme. “If empowered, youth can be agents of change and innovation” in finding solutions to these issues, said Samkange, calling on the world’s young people to take up the cause. For example, two young Chinese-American brothers from Monterey Park, California – Stanley and Spencer Lin—spoke about the nonprofit they founded when they were 17 and 14, respectively, called Planet Save. The company focuses on environmental and animal protection as well as teaching sustainability. Planet Save promotes aquaponics, an integrated system that allows plants and fish to co-exist in a symbiotic way. They Lin brothers say it is an easy, sustainable way to grow plants and vegetables and breed fish at a time when land and water resources are shrinking. “We believe anyone can play a role in protecting our world, especially the youth. We are the future. Let’s fight to keep our planet clean and safe so the youth of tomorrow can have a better world,” said Stanley. 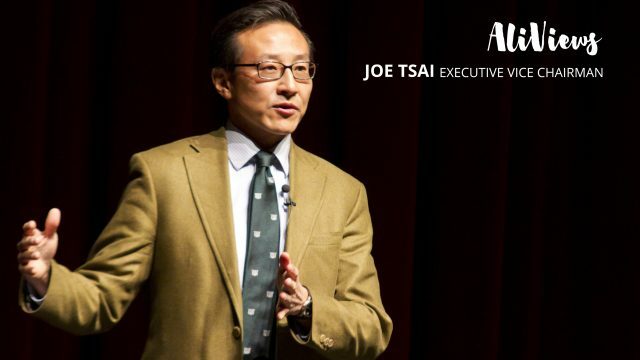 At the forum, Alibaba and UN-affiliated AIESEC (in English: the International Association of Students in Economic and Commercial Sciences) launched a Global Youth Leadership Initiative to foster more young leaders and social advocates around the world. UN Women India Program Analyst Arunima Sen said gender equality makes sense in the business world, and numbers and research back that. A simultaneous breakout session in New Delhi, titled “Love and Infinity,” focused on increasing public awareness of and action on education, the protection of children and empowerment of women in India. 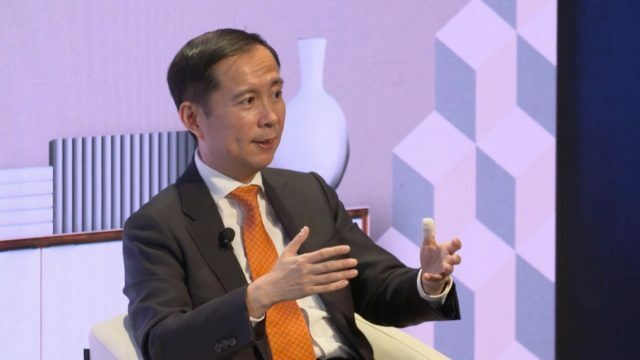 Delivering a keynote, UC Web President Zhu Shunyan stressed the importance of making philanthropy a top-level business strategy, as UC Web and its parent Alibaba have done. Specifically, Alibaba Group’s “Mission Million Books” initiative, in place since 2016, aims to donate 1 million books to underprivileged schools and colleges across India to educate and empower the country’s youth. The UC Shiksha campaign, a user-powered online-to-offline book donation program, attracted 1.5 million users in two months and benefited 50,000 students. And to empower women, UC Web started its first women’s channel, “helping Indian women with self-growth and self-realization,” Zhu said. In her keynote speech, UN Women India Program Analyst Arunima Sen said equality makes sense in the business world, and numbers and research back that. It’s good for business development, corporate sustainability, financial performance, hedging risk and accessing new markets. “Organizational performance increases and the ability to attract and retain talent is enhanced when equality is part of the equation,” she said. On a broader level, national productivity and growth show improvement with more equal treatment of men and women. One study about India noted the country could witness gross domestic product growth of anywhere from 16% to 60% if the participation of women in the economy was on par with that of men. Cadillac China VP Andreas Shaaf speaks during a panel on the use of technology to promote sustainability. 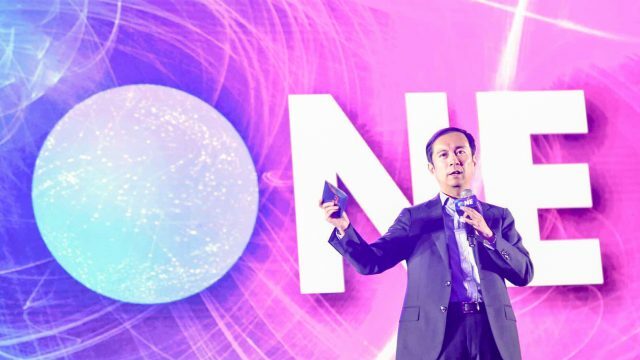 Niu Zhijing, senior director of corporate communications at Cainiao Network, emphasized that Alibaba’s logistics arm works to integrate its business with philanthropy as well. “We feel we need to give customers and partners a better experience,” he said, all while promoting green logistics. He pointed to the company’s efforts to reduce the paper waste that comes with using carbon-copy forms for shipping. Last year, 40 billion parcels—half the global total—were shipped in China using these forms, which have five duplicate pages. That’s 200 million pieces of paper. But by digitizing the shipping process and bringing online much of the data and information-sharing previously handled by the forms, Cainiao was able to cut the number of pages per shipment to just one—and shrink it to half its original size. International companies operating in China are also leading the charge when it comes to using technology to promote sustainability. Cadillac China Vice President Andreas Schaaf said parent company General Motor’s most-advanced manufacturing plant in the world is based in the country. It operates almost entirely on renewable energy and is almost fully automated, thereby boosting its ability to perform without human error. “It’s extremely efficient, and I think the plant is absolutely world-leading,” he said. The International Ranger Federation’s Sean Willmore talks about ways to support the men and women working to protect the world’s wildlife. Sean Willmore of the International Ranger Federation spoke about the dangerous work rangers do in protecting wildlife, whether in Asia, Africa or anywhere else in the world. He offered a sobering statistic to prove it: Over the last nine years, 871 rangers have been killed in the line of duty. The rangers—including women—face down poachers looking for everything from tigers to rhinos to elephants, and they’re often outnumbered. They also lack supplies. And not just guns. Mosquito nets and boots were among the gear that Willmore said rangers urgently need. One mosquito net can prevent a ranger from contracting malaria as many as eight times per year, he said. Willmore said that the Federation is in discussions with the Jack Ma Foundation and the Paradise Foundation to find ways to support rangers and the families that are left behind when a ranger dies. Last month, the Paradise Foundation awarded grants worth $3,000 each to 50 African rangers working to protect wildlife in 17 countries on the continent. Five rangers who lost their lives were among the 50 award winners. Their families received their prize grants.